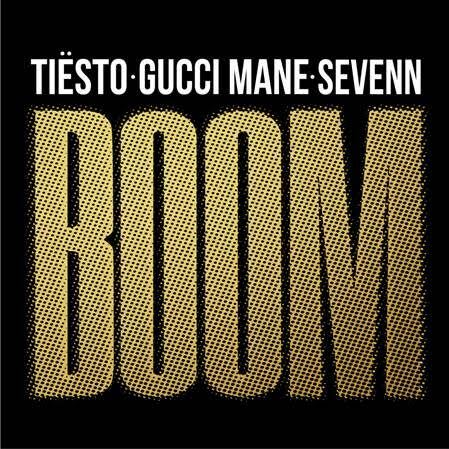 Legendary DJ/Producer Tiësto has unveiled his brand new edit of ‘BOOM’, teaming up with rap superstar Gucci Mane to form a potent floor-filling mix of his 2017 track of the same name. Out now on Musical Freedom/PM:AM Recordings listen to “BOOM” here. Long admired as the man at the forefront of electronic dance music’s rise in popularity, the Musical Freedom label owner brings a heavy bass feel to the production, teaming up with Sevenn, as Gucci – a headliner at 2017’s Coachella Festival – laces the release with his fast-bars, and wittily lyricised flow. This cross-genre collaboration comes after the original track’s massive success, garnering over 100M streams worldwide and widely recognized as one of the most supported tracks among DJs in 2017. As a sign of things to come, ‘BOOM’ kicks off what promises to be a hallmark year for the dance music icon. In addition to the music, Tiësto has announced several major tour dates for 2018, including February shows at Festival Hall in Melbourne and Hordern Pavilion in Sydney, as well as a massive day-long event for Steel Yard London in May. Tickets are on sale now.